Weight watchers is a fantastic weight loss program that has helped tons of people reach their weight loss goals through their point system. Sometimes finding desserts that already have the points figured can be a challenge. I have created this list of mouthwatering and delicious low point Weight Watchers dessert recipes. While you are here, make sure you follow me on Pinterest! So now is the time to get in your kitchen and whip up something good to eat that doesn’t cost you a lot of points for the day. No matter what season it is, you will find some tasty treats that will keep your taste buds happy and fulfill your cravings! 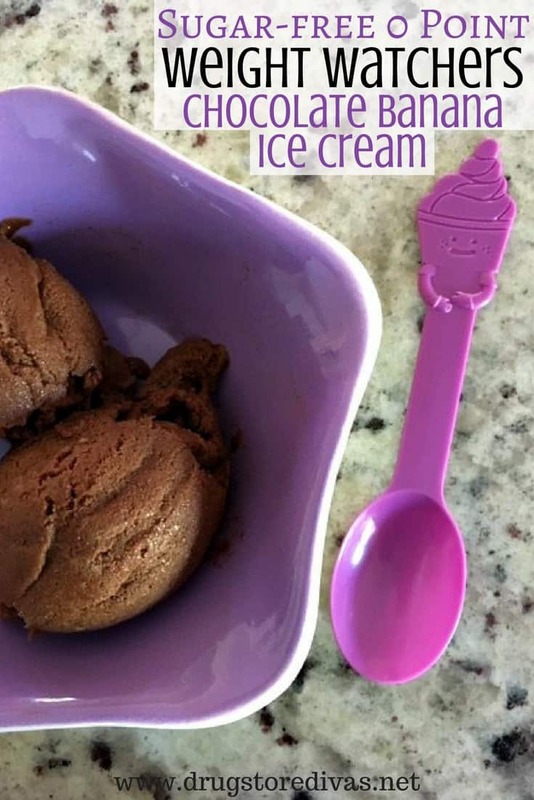 Weight Watchers Chocolate Ice Cream| The whole batch of this amazing ice cream is only 2 Freestyle smart points! So you can enjoy this decadent treat without the worry. 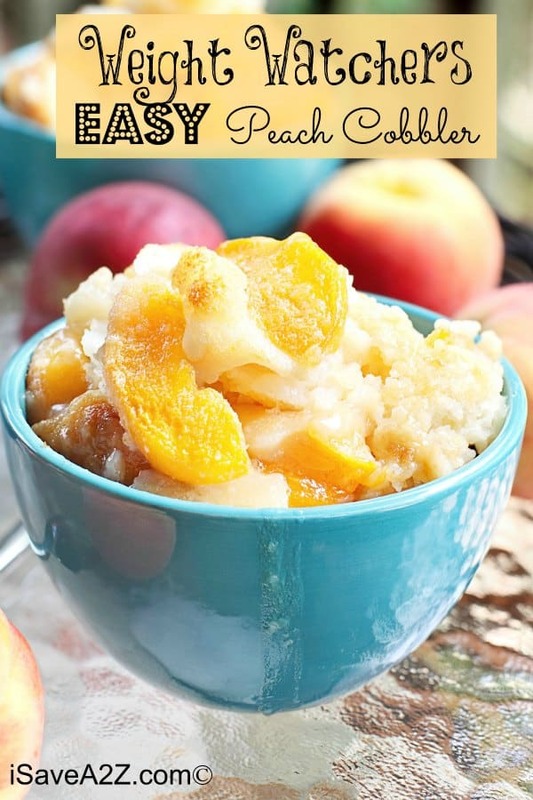 Weight Watchers Easy Peach Cobbler| At only 4 weight watchers points a serving you can indulge a little bit. 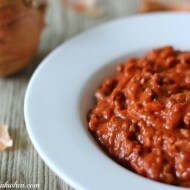 This would be a great dish to take to your next potluck too! 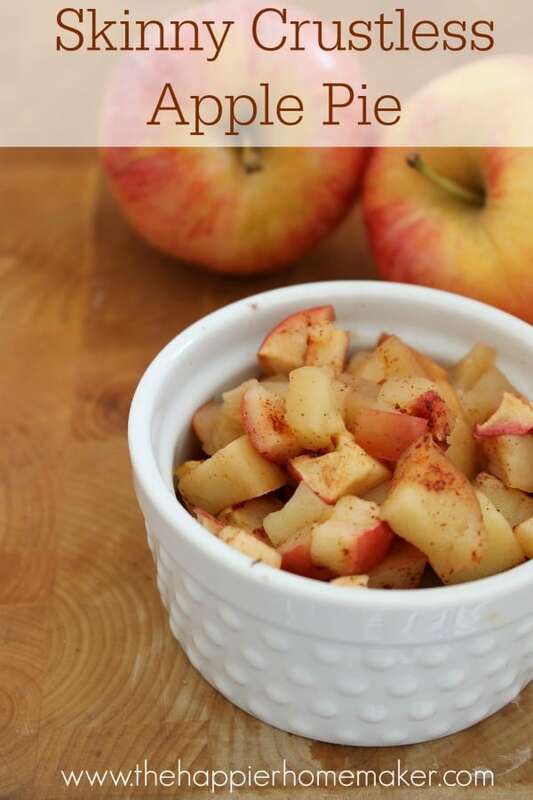 Skinny Apple Pie| Sweet gala apples, cinnamon, sugar and optional whip cream make this crustless apple pie. Your taste buds will be in heaven! Only 1 Weight Watcher point. 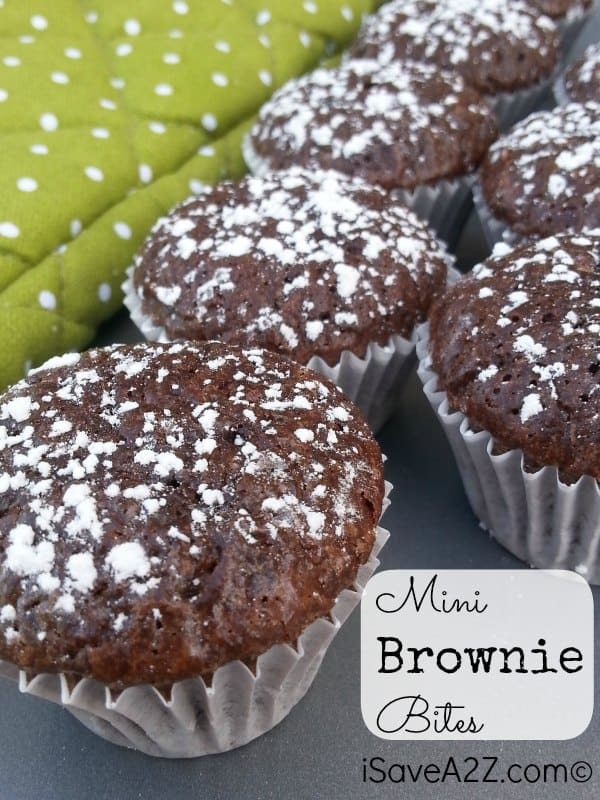 Weight Watchers Mini Brownie Bites| This is such an easy dessert and the flavor is just so good! Enjoy one of these brownie bites for only 2 points! 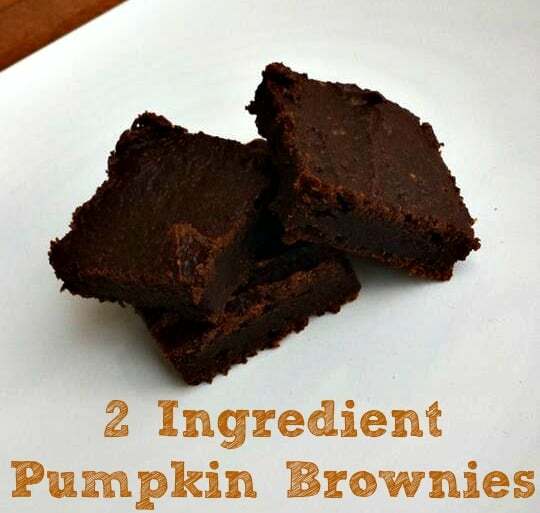 2 Ingredient Pumpkin Brownies| Can you believe these festive brownies can be made with only 2 ingredients? Now you can keep your sweet tooth happy! 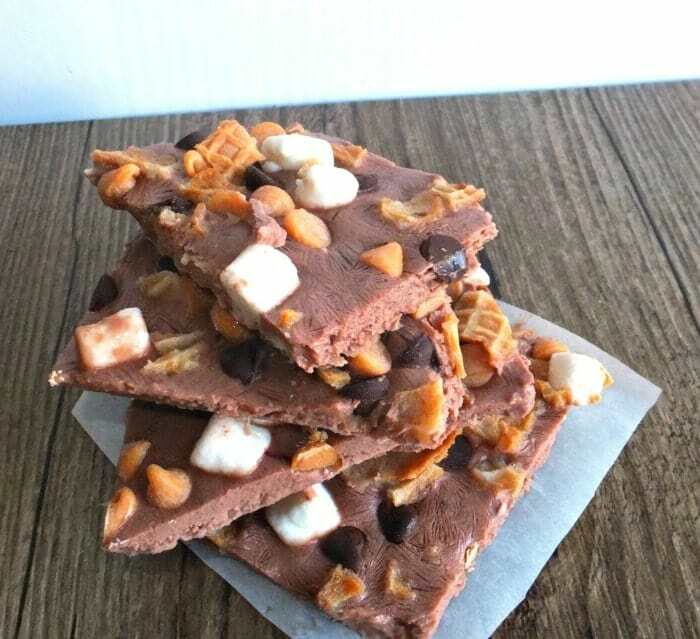 Rocky Road Froyo Bark| This dessert is like a dream! 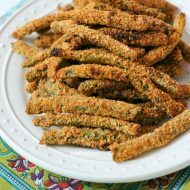 It only takes 5 minutes to throw it together, 7 ingredients and it’s 3 weight watchers points per serving. Dreams can come true! 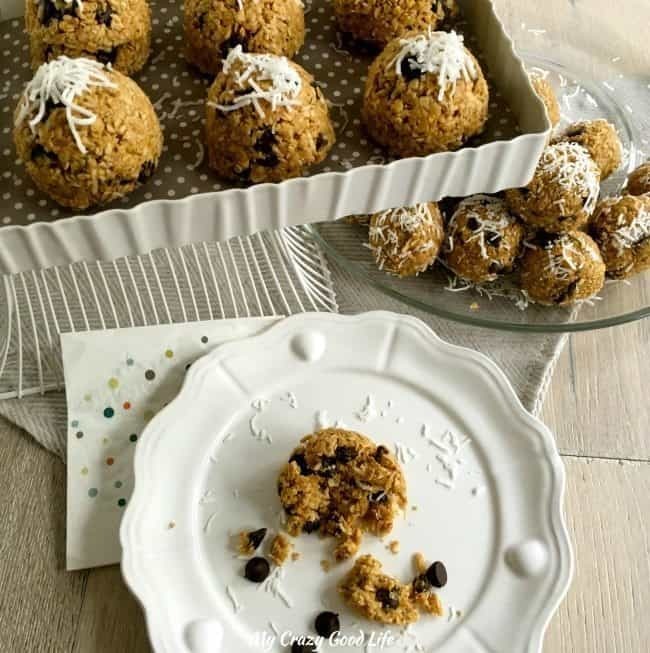 Weight Watchers Oatmeal Clusters| Perfect combination of oatmeal, chocolate chips, coconut, honey, peanut butter and vanilla. 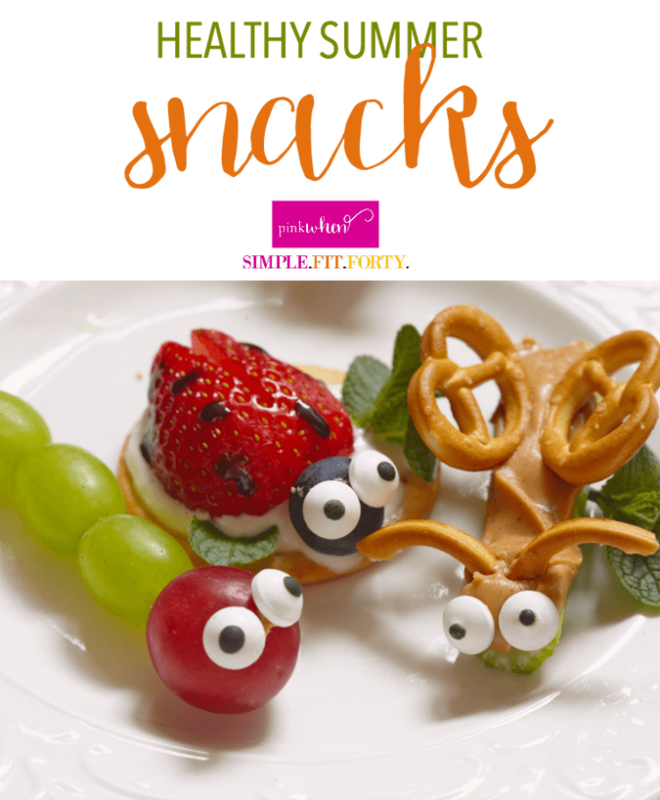 Your friends will be begging to bring these to your next get together! 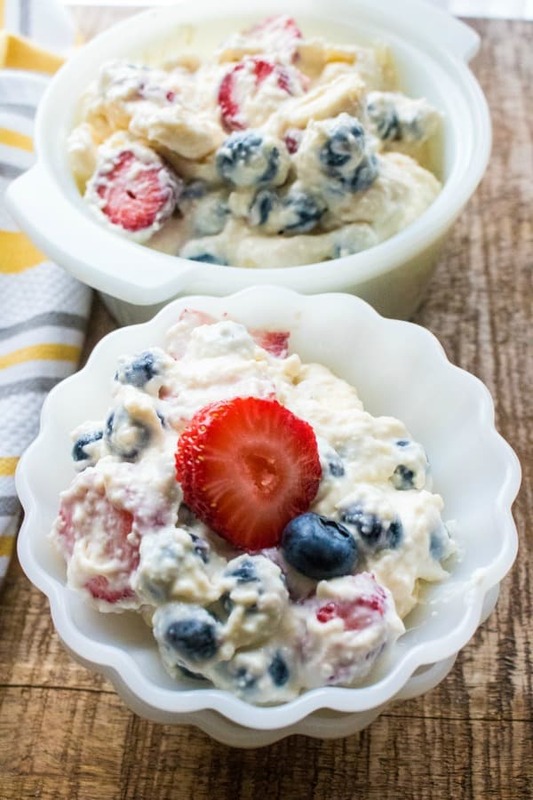 Weight Watchers Red, White and Blue Cheesecake Salad| Fantastic patriotic dessert that is only 4 points for a 1 cup serving! This would be an amazing dessert for your next backyard barbecue. 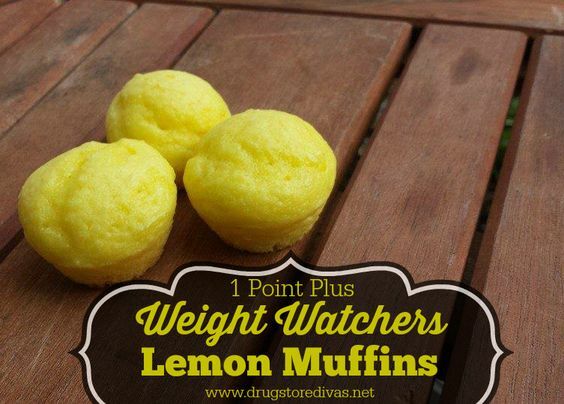 Weight Watchers Lemon Muffins| Zesty lemon muffins that are sweet and filling. These are only 2 Smart Points and would also make a nice easy to grab breakfast or snack. Coconut Cream Cherry Squares| They should call these dream squares because they taste so fantastic! 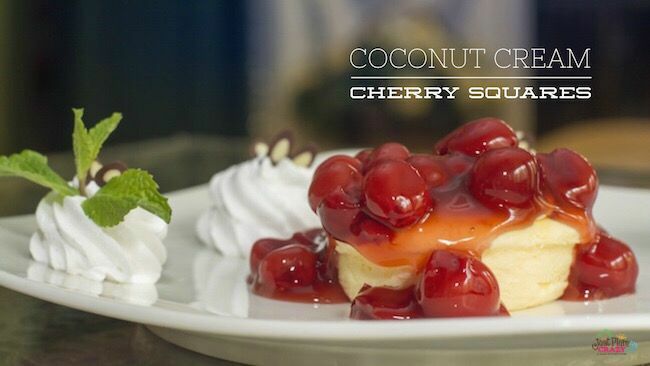 The creamy coconut flavors combined with the cherries is a winner! Only 4 points per serving. 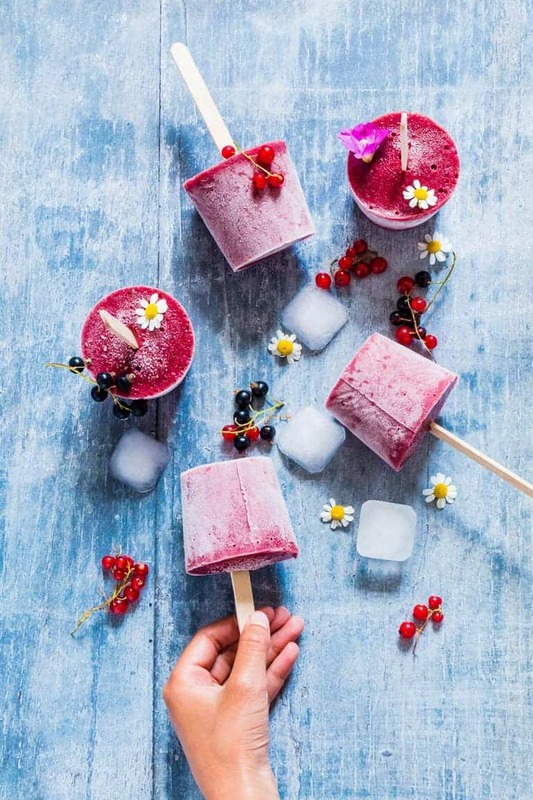 Balsamic Roasted Berry Ice Lollies| Sometimes food is just gorgeous! This is one of those times. Impress your friends with these vegan, low point treats! 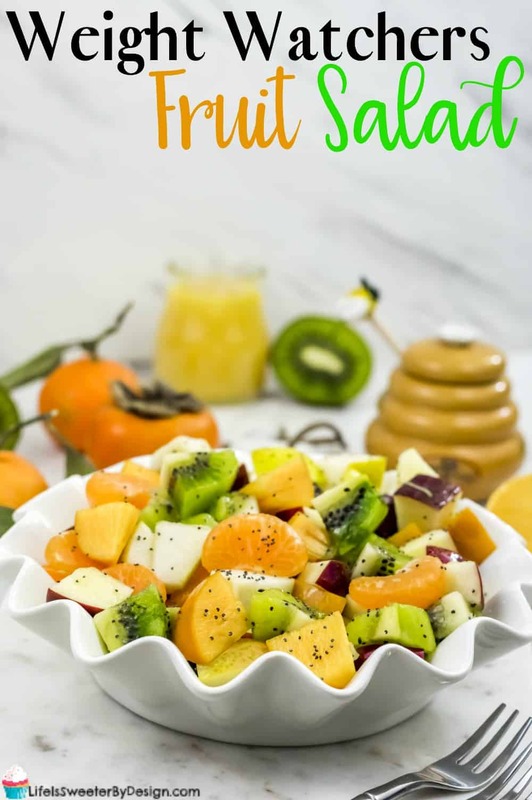 Weight Watchers Fruit Salad| Fresh pears, kiwi, mandarin oranges and plums are the base of this mouthwatering fruit salad. It’s drizzled in a sweet sauce that will leave you satisfied! Only 2 Smart Points per serving. 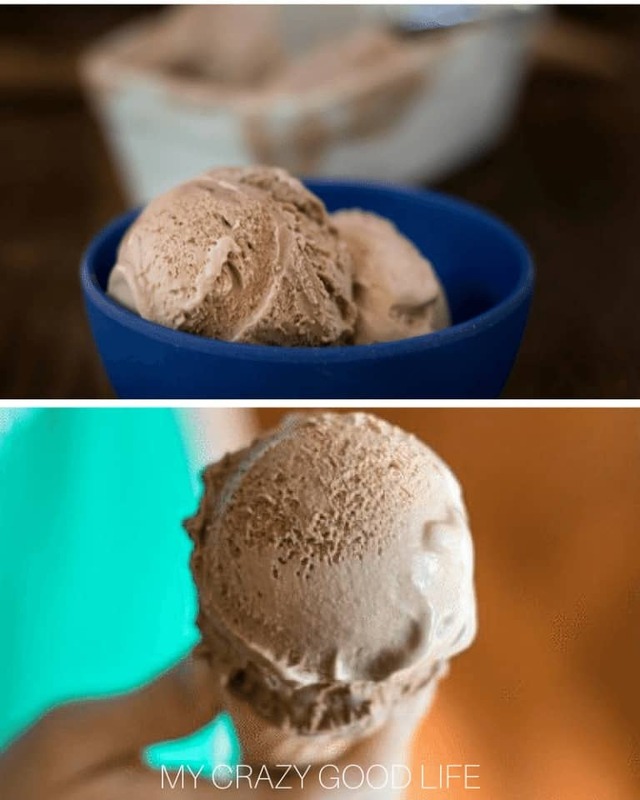 Weight Watchers Chocolate Banana Ice Cream| This ice cream is so good and it’s zero points! Be prepared to fall in love once you try it! Yummy! 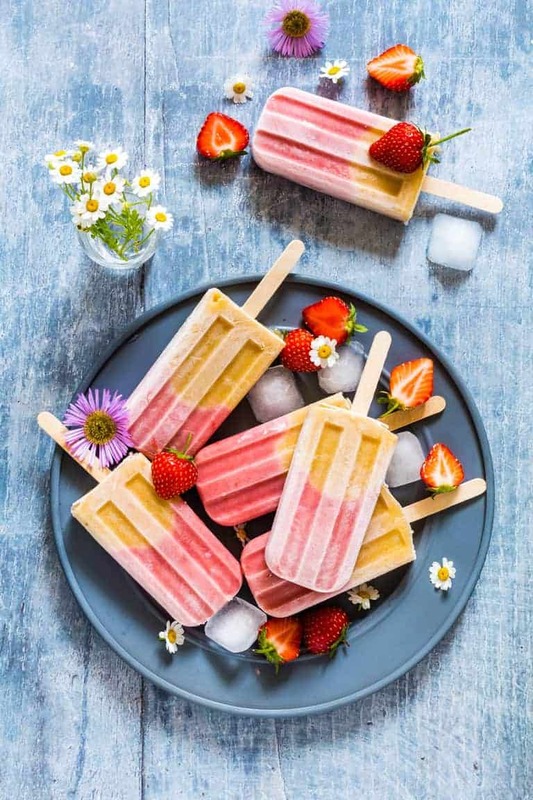 Peach Strawberry Ice Lollies| Kids and adults alike are going to love this dessert! These are the perfect way to beat the heat while enjoying a cold treat. 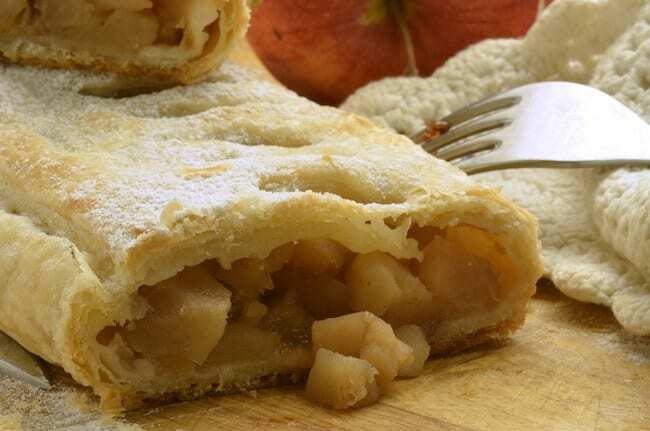 Mini Apple Strudels| Delicious apple strudels that are wonderful for enjoying on the go! These can be enjoyed any time of year. 3 points plus per serving. And that’s a wrap! 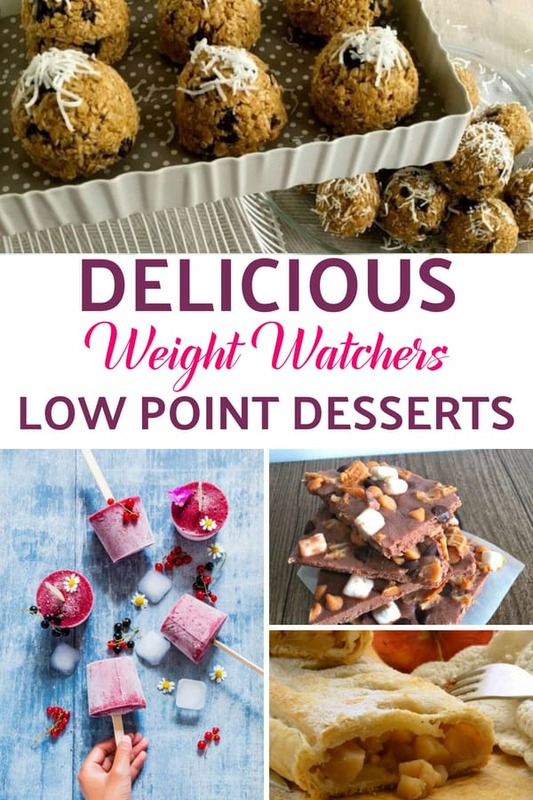 I hope you enjoyed this list of low point Weight Watchers Dessert Recipes and find something that’s snackable to get you through the day without using too many points. 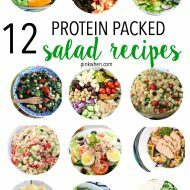 If you enjoyed this roundup, you might also like these other healthy summer snack ideas, and you will find more low point snack ideas! 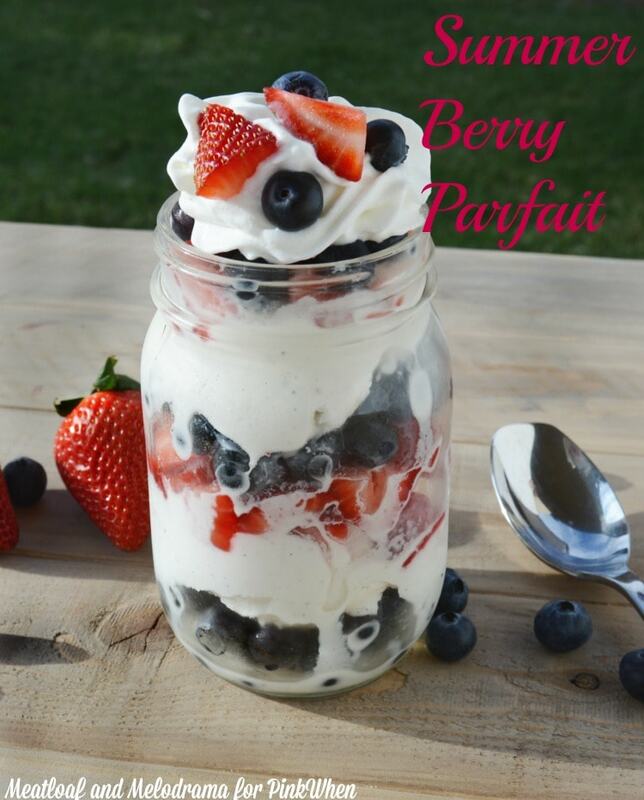 You might also enjoy this Summer Berry Parfait. You might also like these Ultimate Picnic Ideas.